Beta machines are great, with features way ahead of their time. Technical people appreciate their quality which is why many people I know have had, or still have, beta machines. Below is the Sony SLC9AS which is a great machine with certain “issues” which is why I started collecting them for parts and specialised in their repair. If you have Beta tapes, over time (25/35 yrs?) depending on storage conditions, the beta tapes themselves will break down meaning your memories will be lost forever. Given that beta machines were first sold around 1978 we are around that point. 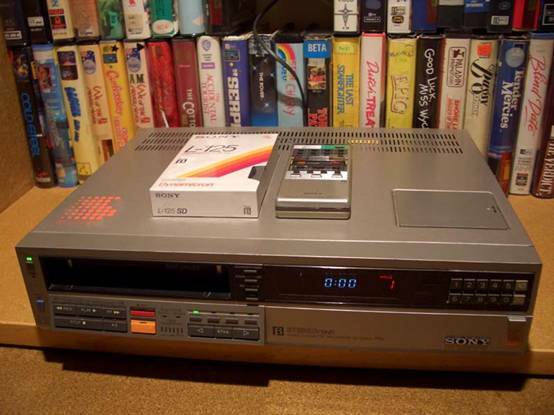 If you have beta tapes with family memories or other material which you want to retain, then it is likely you will need a beta machine repaired or replaced in order to view or copy your tapes to DVD.